…quit thinking about decent land-use as solely an economic problem. Examine each question in terms of what is ethically and esthetically right, as well as what is economically expedient. A thing is right when it tends to preserve the integrity, stability, and the beauty of the biotic community. It is wrong when it tends otherwise. Prior to de-listing in 2012, I and others were of the opinion that the majority of Minnesotans had reconciled themselves to wolves. I recall reading a commentary by the editor of a well read “hook and bullet” newspaper. 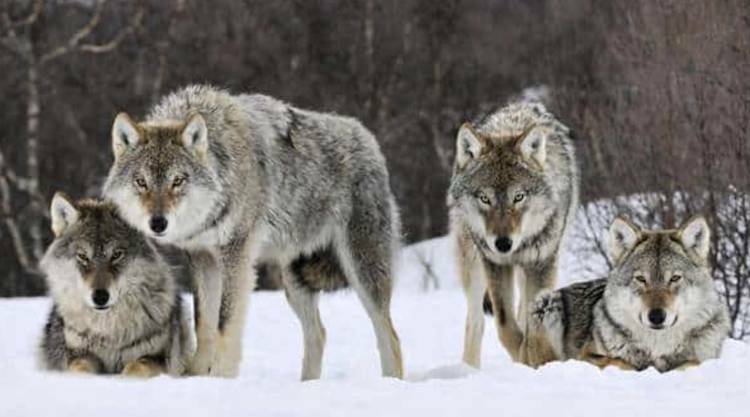 In this commentary, the editor mused about a sports writer’s convention in Montana and the fears and paranoia from his counter parts in the western mountain states about the havoc wolves would inflict on game populations and livestock. He wrote of how we have always had wolves and how their numbers and range had expanded, yet Minnesota was having the best deer hunting in recorded history and how livestock depredation was so minimal that it wasn’t on anyone’s radar screen. The upshot of his message was wolves are no big deal or threat. Ostensibly Minnesotans had not only reconciled themselves to wolves, they had become iconic to us. Upon de-listing in 2012 a Pandora’s Boxes opened and out of this box a black pall of ignorance and ancient hatred escaped and pervaded the thinking of political parties and environmental groups. The wolf reverted from being an icon to being a political and economic issue. Seemingly all the years of rehabilitation in the minds of Minnesotans was ignored by both political parties, deer hunters, livestock men and even many environmental groups. Yes, I said environmental groups. Many environmentalists responded that the wolf did not need “endangered” or “threatened” status or that a hunt would be just fine, or that by embracing the wolf would endanger their relationship with legislators from wolf country and not allow them to get pet legislation passed. The net result of delisting from the hunts of 2012, 13 and 14 were over 1750 wolves killed in Minnesota by hunter/trappers, livestock complaints and private land owners and this number does not include all the wolves that were killed by poachers. While wolf advocates were protesting the hunt, testifying in state and federal government, trying to influence the MN DNR, writing letters to editors and doing anything they felt would persuade those in power to stop the killing of wolves, the Humane Society of the United States and the Center for Biological Diversity were quietly suing the federal USFWS (Interior Department) when in December of 2014 U.S. District Judge Beryl Howell ruled that the wolf would be put back on the ESA. This came as a most welcome and Christmas gift. Almost immediately the USFWS, sportsmen and Livestock groups appealed this decision. On August 1st 2017, the “U.S. Court of Appeals for the District of Columbia agreed the gray wolf in the Great Lakes and Wyoming should remain on the federal Endangered Species List. All this is good news but the real threat still lies within Congress. Thus far there have been well over a dozen attempts by Congress to de-list the wolf and have thus far failed but the greatest threat is looming over us now. Two identical bills exist now in the House and the Senate that would not only de-list the wolf but would forever remove the courts as a course for us to try to stop threats to the health of the Earth. For decades environmentalists have relied on courts to sue or appeal decisions concerning environmental issues from oil pipelines, sulfide and other mining projects, endangered species, protecting wilderness and many other assaults on the environment. In a government that is ruled by corporations and special interests, the courts are the only recourse we have left as a people and now that may be taken from us. And this is not just right-wing Republicans but is rather being led by Senator Amy Klobuchar (D-MN), Sen. Tammy Baldwin (D-WI), Ron Johnson (R-WI) and Sen. John Barrasso (R-WY). Representative Rick Nolan (D-MN) is leading the charge in the House. In Minnesota we have eight Representatives and our two Senators. Of the ten elected officials from Minnesota in Washington, we only have two who are on our side and that is Rep. Betty McCollum of St. Paul and Rep. Keith Ellison of Minneapolis yet a 2012 survey by the MN DNR had 79% of respondents opposing a wolf hunt and a poll taken a year later by Lakeland Research Polling which had 80% of Minnesotans wanting wolves protected. The wolf is being used by politicians of both parties to eradicate or weaken the Endangered and Threatened Species Act of 1973 so that dangerous polluting projects like sulfide mines, oil pipelines and development projects can go forward. The wolf and ESA are standing in the way of the proposed Polymet mine and Twin Metals sulfur/copper mines so these proposals can go forward in the watersheds of the BWCA and Lake Superior, both are pet projects of Amy Klobuchar and Rick Nolan of Minnesota. Senator Amy Klobuchar authored the bill in the Senate to sell Forest Service land in Superior National Forest to Polymet and Rep. Rick Nolan is working with Trumpites to reverse the United States Forest Service ruling to place a moratorium on mining within the 250,000 acre buffer zone around the BWCA wilderness that truly is a national treasure. I remember hearing a story of an old Minnesota wolf trapper who found a large and beautiful wolf in one of his leg hold traps. The wolfs beauty struck him and as he gazed on the trapped animal, he felt the notion to free him but thought of how he needed the money so he shot the wolf. Many years later I had an Ojibwe friend told me of an account that a native friend of his had in Viet Nam; this friend found himself behind enemy lines in an extreme fire fight and recognized the grave predicament he was in and realized that this will likely be the end of him when something caught his attention. Upon looking up he saw a wolf standing and looking at him. Knowing that wolves do not exist in Viet Nam, he was at first puzzled and the wolf turned and started to walk away, then stopped and looked back, over his shoulder and the Ojibwe man took it a sign to follow him, which he did and found the wolf had led him through enemy lines and back to safety. I have never doubted this story as this individual believed it happened and that was good enough for me. In 2009 as I was sojourning through the late winter woods on snowshoes with my dog, we came upon the rib cage of a deer that had been pulled down by wolves earlier that winter. My dog got to it first and was keenly scenting the bones. As I approached I saw fresh wolf tracks in the snow and a line of bright yellow urine across the bones and realized that the urine was as yet unfrozen. I then noticed my dogs’ attention was drawn across the trail to the south, off the trail. I stood up and looked that direction to see what attracted her attention and saw two wolves standing in single file fashion, one behind the other, silhouetted against the low winter sun. They seemed relaxed and curiously interested in us then turned and disappeared into the forest. I have had many similar wolf encounters over the years and feel deep within my soul that if this woods or state was wolf-less, it would so dramatically change the character of the land that I could no longer reside here – but then where would there be wolves? We have accrued a great debt towards the wolf with compounded interest in a cosmic and moral sense. The only way we can pay this moral debt off is to stop killing wolves. The first step to take when finding one’s self in a hole is to stop digging. As with all fights to save what’s really important to the Earth and all its interconnectedness always falls to us common ordinary citizens. We are often ignored by mainstream media and despised by politicians. We lose far more than we win but forging on has become an existential thing – we do it because we could not live with ourselves if we did not. For us, we believe if we can’t get it right with the wolf, what can we get it right with? Barry Babcock: I live in the heart of wolf country in northern Minnesota and have written extensively about the wolf. One of points I have emphasized is that it was not what we did as Minnesotans that allowed Minnesota to have always had wolves, rather it was that we had remote and rather inaccessible wild lands, such as the Boundary Waters Canoe Area Wilderness, in which wolves could find refuge from mans attempts to eradicate them. Even when planes, out to shoot them from the air, would fly over the BWCA, wolves would leave the openness of frozen lake surfaces upon hearing the planes and enter the thick dark forests of the region where they became invisible.